Place all ingredients, except the water and agar flakes, in a blender or food processor and pulse until creamy. Place the water and agar flakes in a small saucepan and bring to a boil. Reduce the heat to medium-low and simmer, stirring constantly, until the agar flakes dissolve, about 5 minutes or so. Pour the agar liquid into the blender with the tofu and pulse 2 to 3 minutes to combine well and allow the agar to cool. The tofu will start to thicken at this point. Place the tofu mixture in a small bowl and place in the freezer for about 5 minutes until firm, not frozen. Remove and place in the blender again and pulse several seconds until creamy but stiff like whipped cream. 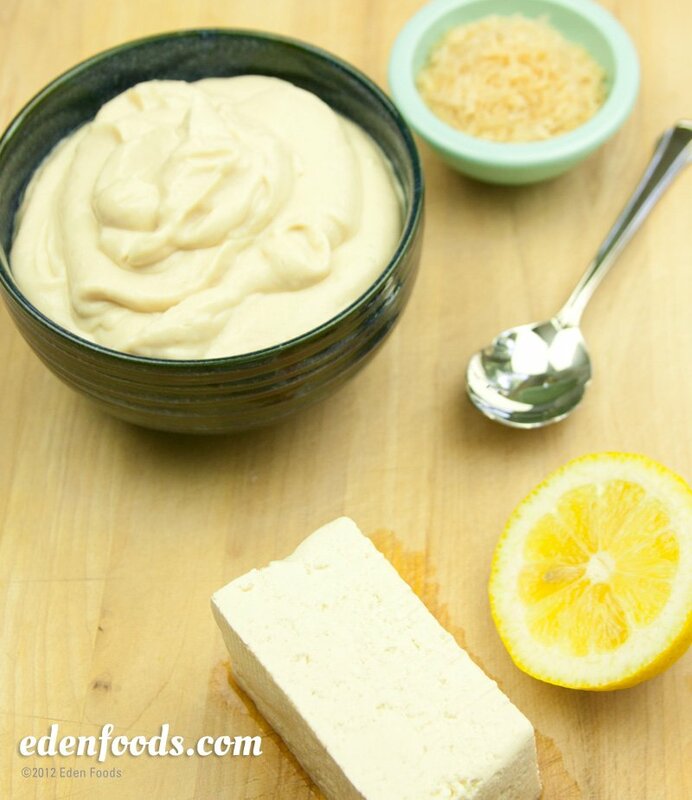 Tofu whipped cream is great for those wishing to avoid dairy. Use it on strawberry or any type of shortcake, and pancakes and waffles. NOTE: For a vegan tofu cream, eliminate the honey and use all maple syrup or substitute with another syrup.